For those who enjoy viewing various types of artwork. Loupe has a wonderful collection of artwork that you can stream endlessly on your Apple TV and include Apple Music. From Elegant Objects to Tranquil Impressions to Urban Landscapes, you are sure to find a collection you enjoy. 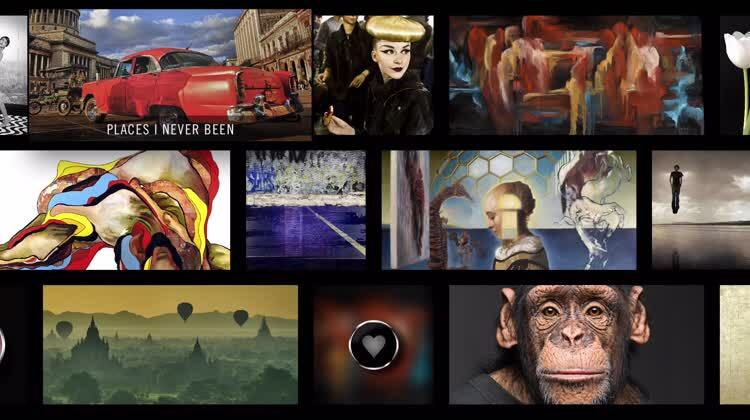 The app includes original artworks, reproductions, and limited edition prints and is best viewed in full-screen mode. Loupe lets you appreciate different types of artwork from your living room with an endless display. For those who want to level up their TV home shopping habits. There is no bigger TV shopping company than QVC and its Apple TV app does not disappoint. Watch live video while looking at product images and prices, and even make purchases. It’s quick to easy to look at and order products, particularly for an item that’s currently on air. It even helps you select the product type that’s right for you with its range of images, sizes and colors. Moroever, it lets you purchase items in a jiffy with Speed Buy. 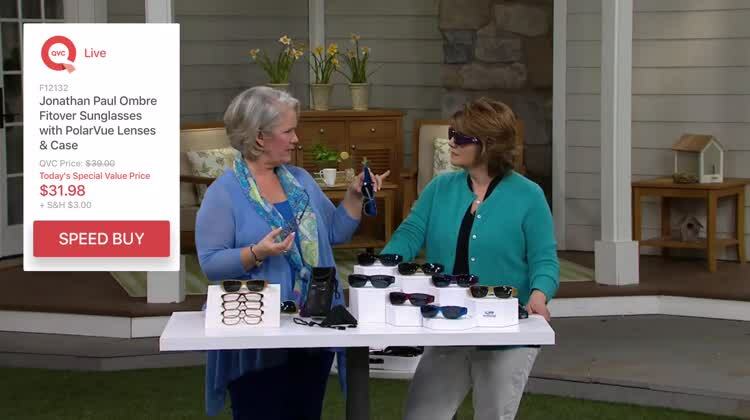 QVC is your home shopping channel of choice. You want the convenience of ordering items you like right through your TV. You are partial to another home shopping channel. You don’t like home shopping at all. You know HSN the shopping channel. Now meet HSN the shopping app for Apple TV. Never miss out on the latest programs featuring your favorite hosts and celebrity guests with the built-in guide. And never miss out on exciting stuff by shopping popular brands and buying their products. Featuring HSN and HSN2 Live, the app is sure to show you something you’ll love, be it from a past, current, or upcoming event; there’s a handy program guide to help you stay on top of your online shopping. 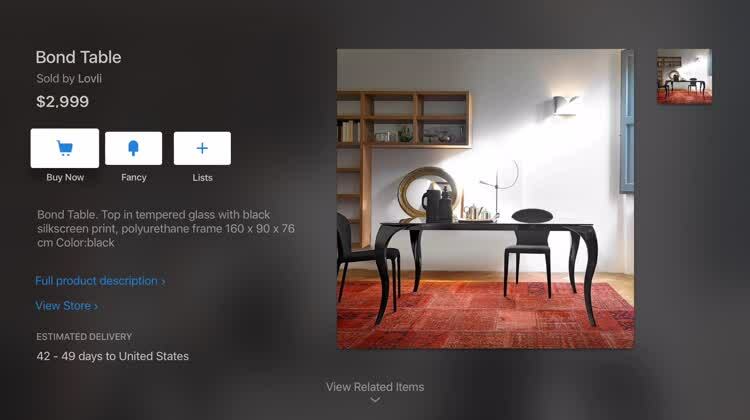 The app also offers detailed product descriptions with images and even live presentations, so it’s easier to decide whether to place an order for that piece of furniture, jewelry or whatnot you’ve been eyeing. You can’t get enough of HSN. You want to shop a variety of brands from HSN’s shows, both old and new. You don’t like online shopping in general. For Amazon Prime subscribers looking for a new way to shop, shop, shop. 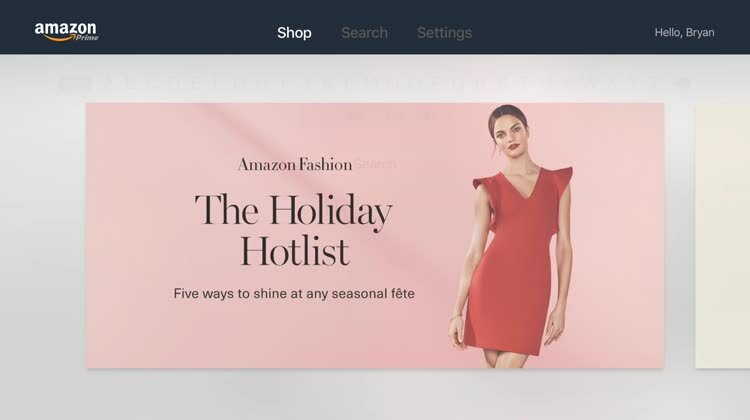 Browse, Search, get product details, read reviews, and see immersive product images and videos for millions of products available from Amazon.com and other merchants. Prime membership is required to make a purchase on your TV. Amazon Prime subscribers will definitely love this app because of its ease of use. Still, we wish Amazon Video had arrived instead. Fancy is all about finding cool things you don’t see every day. These unique items look amazing on the big screen. With just a couple of clicks you can be a proud owner of some “fancy” items. Fancy lets you come across new and amazing stuff. With its collections of unique things curated by a global community of users just like you, there’s bound to be something to catch your, well, fancy. What’s more, you can buy all of the thing you like right through the app, making social-oriented shopping on your Apple TV a breeze. For those want to buy secondhand furniture without having to go far. 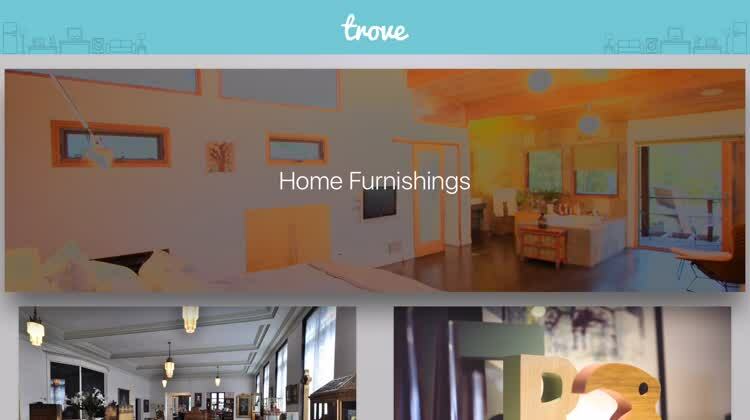 This app is so named because it offers a trove of otherwise hidden local treasures for your home. Home furnishings and used furniture available nearby are easy to find with just a few clicks and swipes. 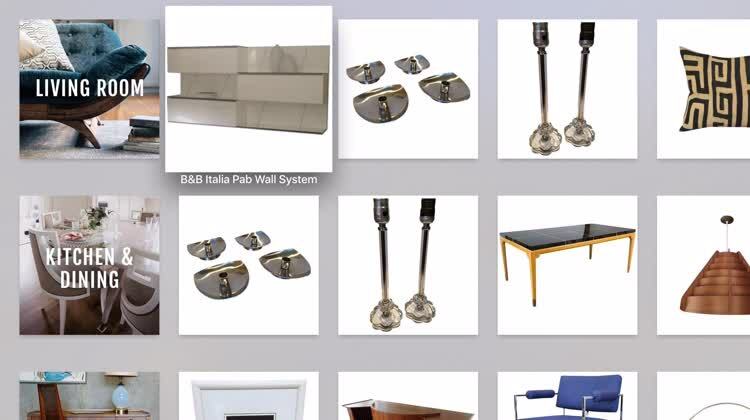 This app indeed opens up a treasure trove of used furnishings. And the neat thing is that these things are readily available from sellers nearby, so you can easily shop around you for stuff with which to decorate and improve your home. You want to shop for used furnishings. You want to buy secondhand furniture right within your community. You prefer buying brand new furniture, fittings and accessories. You don’t mind having to source secondhand furniture from faraway locations. For those who want the latest trends from one of the most famous clothing companies in the world. Don’t like what you see in your closet? Take a look at your Apple TV instead. Mango MNG offers high-quality fashion looks from all Mango brands — including Mango, Mango Man, Mango Kids, and Violeta by Mango — available to purchase with a click of your remote. You want to know what’s hot (or cool) to wear and be able to buy it right away. You’d rather shop for stuff from other clothing design companies. You don’t mind being behind that latest trends in fashion. For those who want to decorate their homes with stylish hard-to-find furniture. Finding stuff to decorate your home with shouldn’t be a chore. And with Chairish, it sure isn’t. You’re looking to decorate your home. You’re fine with how your home looks at the moment. You’d rather shop for furniture at IKEA. For those looking for new yoga clothing on Apple TV. Yoga Apparel Shopping is a good place to start when shopping for yoga apparel on Apple TV. The app has a limited, but nice selection of options for everyone in the house. You can fill your cart and checkout right within the app. Are you looking for a new shirt for your next yoga session? 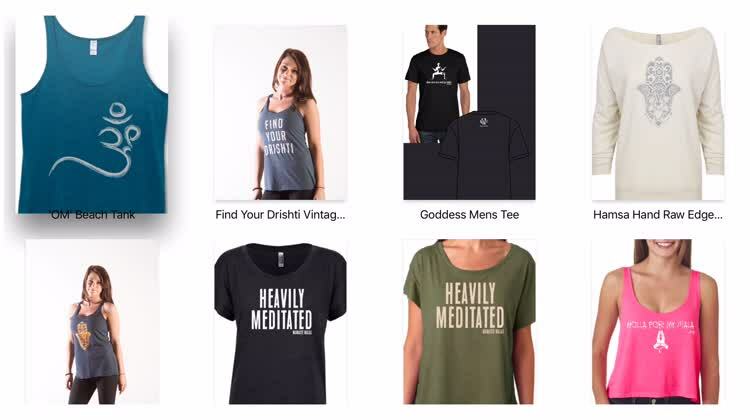 Check out Yoga Apparel Shopping for Apple TV.